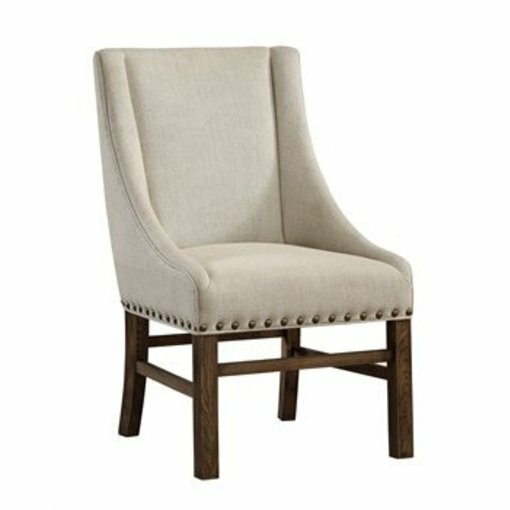 Tradition elegantly refined. 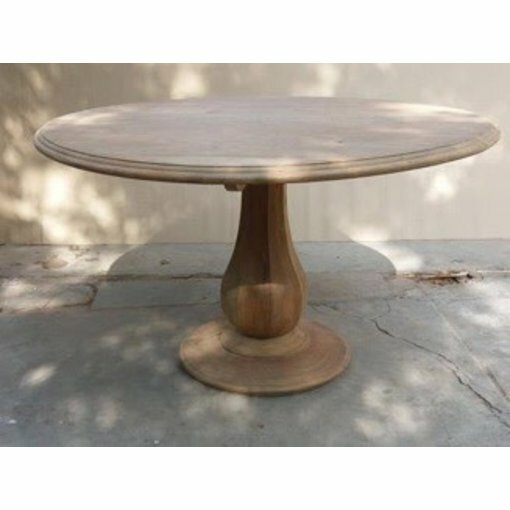 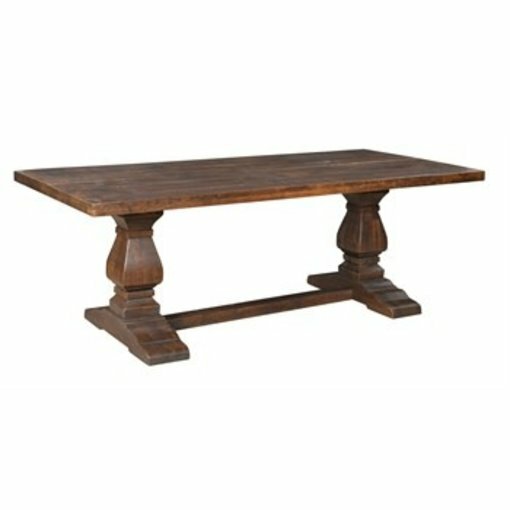 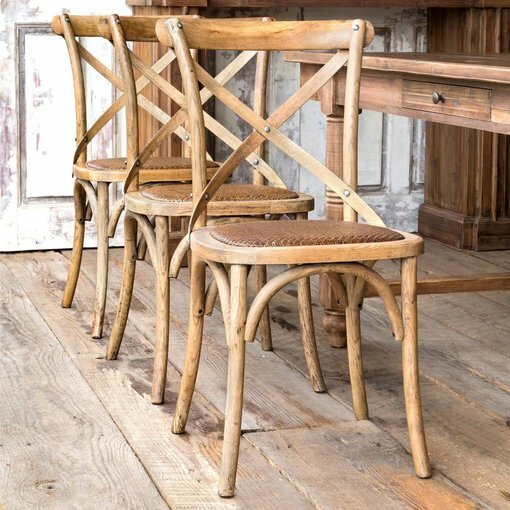 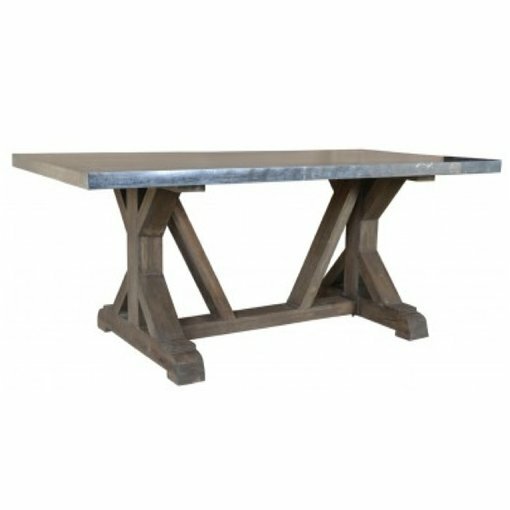 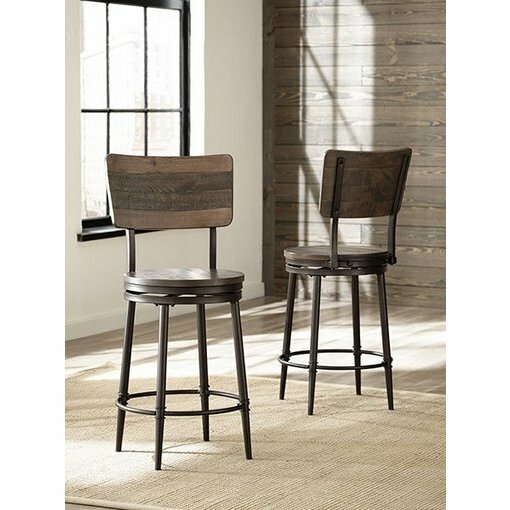 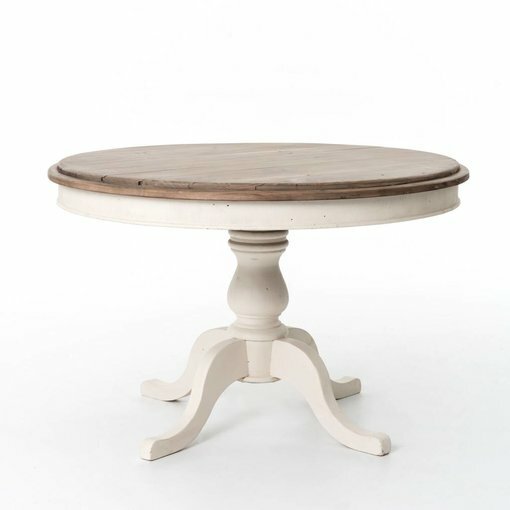 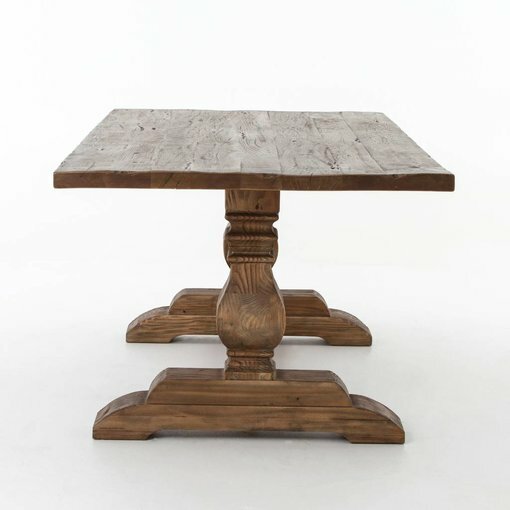 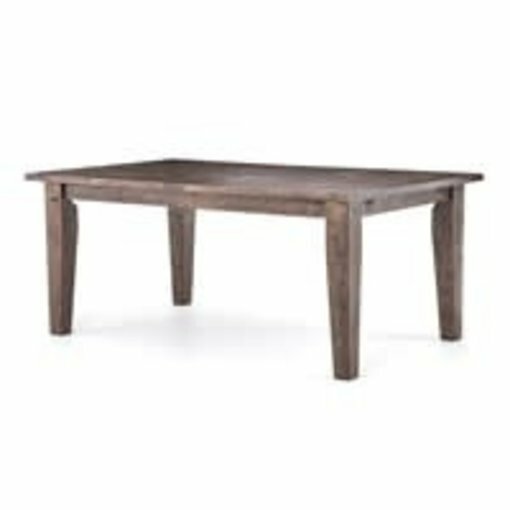 Round English farmhouse-style dining table emits a welcoming vibe and rustic undertone. 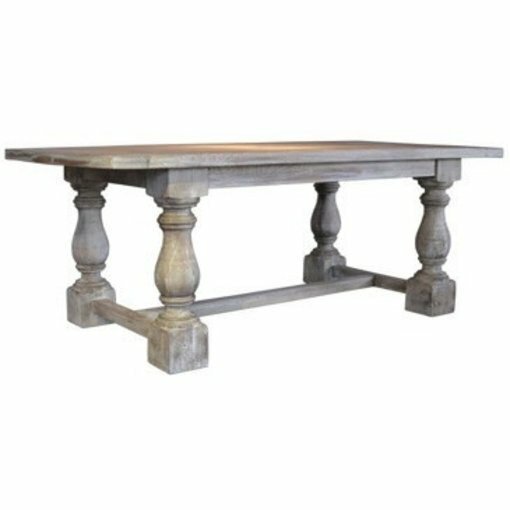 Reclaimed pine is finished in stucco white and sundried ash for subtle contrast.